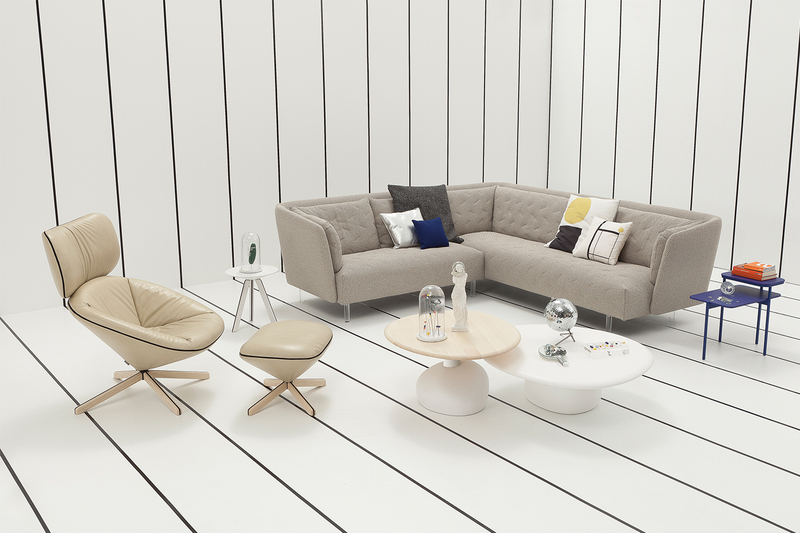 Sancal’s Futura Collection has gone ‘back to the future,’ so to speak, with a contemporary and nostalgic reinterpretation of the future as it was imagined in the 1960s. Debuting at this year’s Milan Furniture Fair, Futura showcased six designer furniture collections and a textile and object series. The 1960s was the golden age of Futurism with the likes of NASA, The Jetsons, 2001: Space Odyssey, and Joe Colombo’s groundbreaking interiors revealing a desire to explore a new and futuristic way of living. Sancal’s Futura collection looks back to this era: to the possibilities of the imagined final frontier, and to the visions of a bright new world that seemed almost within reach. 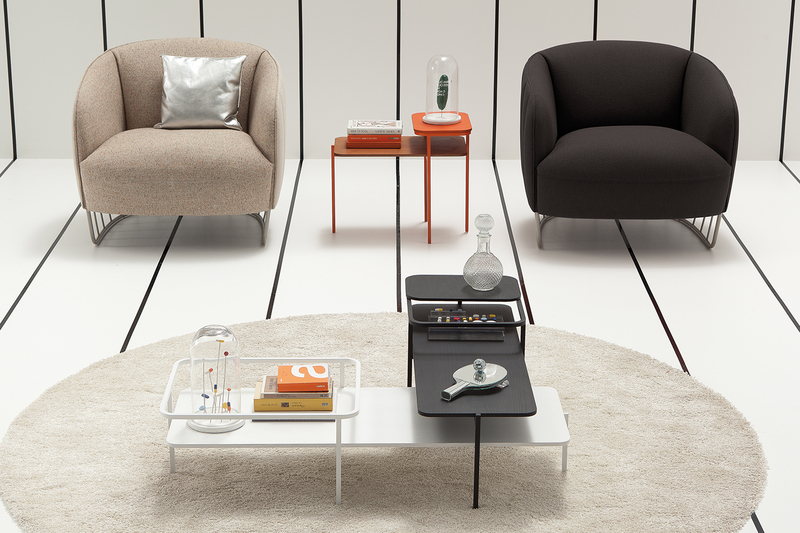 Taking a retrofuturistic approach to contemporary design Sancal worked with some of its favourite design studios to envision the future of design through a 1960s lens. They drew on a vast and imaginative canon of design and culture, pinpointing specific references as the fashions of Paco Rabanne and Pierre Cardin, the furniture of Eero Aarnio, and the architecture of Oscar Niemeyer. Sancal presented the collection in Milan against a backdrop evoking an imagined space station and captured it in a short film directed and edited by Flavio Nani and starring the cast of the Futura collection. Sebastian Herkner’s Vesper tables are made from stone and resin and their smooth surfaces and rounded irregular edges are intended to recall stones from the river. The Tonella, designed by Note Design Studio, has a curved back that reinterprets Sancal’s very first chair while its cage-like base is inspired by Spanish wine barrels. Silla40 by Nadadora is a series of six chairs that share the same structure but have a different shaped back. Each references a key moment in the history of furniture design, including Marcel Breuer’s Cesca chair, Alvar Aalto’s 69 chair, and Charles and Ray Eames’ LCW chair. MUT Design’s Duplex is a series of occasional tables with a long and low profile inspired by the organic and modernist architecture of Mies van der Rohe and Frank Lloyd Wright. It is MUT’s first collaboration with Sancal and the tables are designed to work individually or in layers, with the result being an architectural waterfall much like FLW’s famous Fallingwater. Tortuga (Spanish for tortoise) by Nadadora is influenced by the stately pace and longevity of the animal its named for and its shell-like form encourages users to curl up inside. Rafa García’s Obi Sofa is designed to meet a number of modern-day needs serving as a sofa, day bed and guest bed, and its elegant slim-line legs, available in ash wood or transparent acrylic, make it appear as if floating and defying the forces of gravity. From the hand of illustrator and graphic designer Elena Castaño-Lopez comes C1-C4, a series of four cushions with rationalist names inspired by Malévich and Mondrian and other pioneers of abstract art. 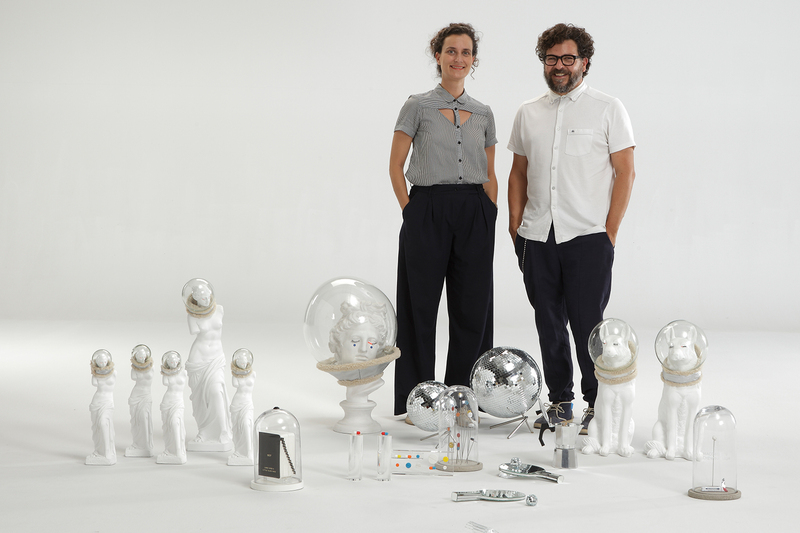 A limited-edition collection of Futura Objects by Número26 complements the furniture and textiles and reimagines everyday objects through the eyes of a designer at the dawn of the Space Age. 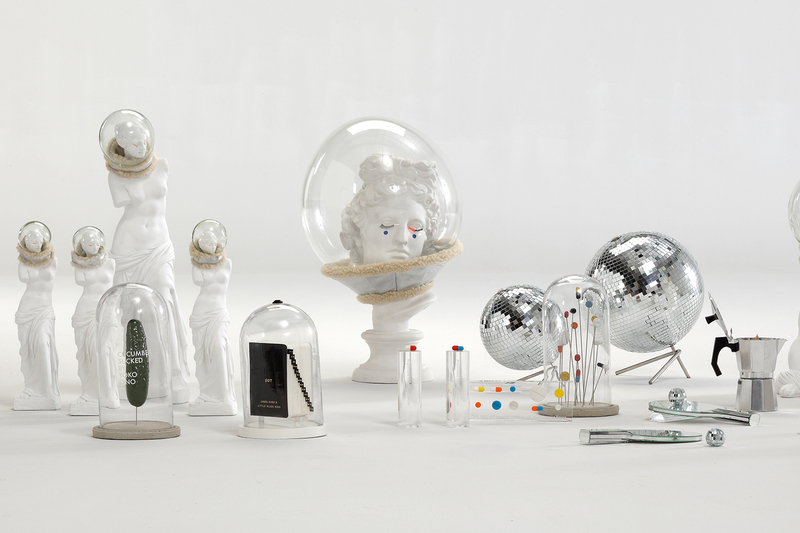 ‘Relics From a Past Future’ pokes fun at icons of the past, including MacGyver’s chewing gum and James Bond’s Little Black Book; ‘Space Classics’ sees Greek statuettes replete with space helmets; ‘Through the Looking Glass’ clads objects with mirrors and ultimately new meanings; and ‘Magic Pills’ is an ironic take on the chemical industry and haute cuisine. While the 1960s prophecy of the future never quite panned out as envisaged, Sancal’s retrofuturistic collection is as imaginative and innovative as the out-of-the-world era that inspired it.